Oh..I so love that first dress. Amazing! Thanks so much again for the comment. I really love the third dress! 1st dress looks so gorge! i want this second dress! He realised his first collection for New Look while I was living in UK. It was fantastic! I bought some garments and they are still in perfect condition (unbelievable, I know). The first dress is lovely! I'd go for it! the 2nd dress is gorgeous. Oh these are gorrrrgeous! I wish we had New Look stateside! 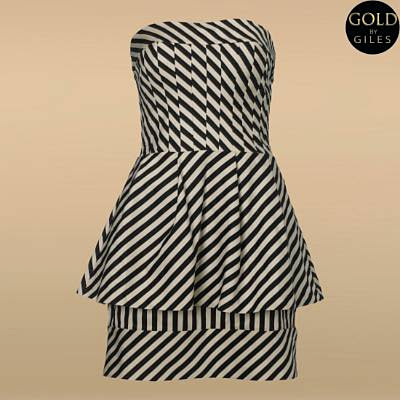 The striped peplum dress is totally amazing - love it!! Oh no. 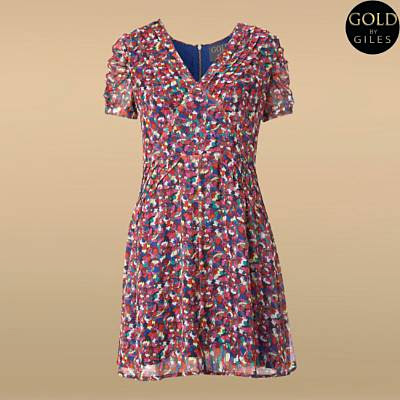 I really like that first dress which does not bode well after my shopping ban has only just ended! I love the first dress that you got! The last striped one is just too much for my eyes! Thanks for the comment. I really appreciate it. Hope you are having a good week. You would look great in any of those dresses. wow, thanks for posting this...these are gorgeous. That striped peplum dress is truly divine!!! I see we both share a love for peplum dresses! All these are fab but I particularly love #3! I do hope the peplum look makes a comeback ... used to love that in the '80s. Oh I love the Striped peplum dress!!! The striped dress reminds me of the top I was wearing last night! That striped dress is to die for! I love it and wish I had something like that! AGHH! Hi everyone-thanks for all the fab comments!! The last dress is perfection! It would look so good on you! I love the floral print dress, I just bought something like that at DOTS.com for $14 dollars. Florals are abound this season and I love it! Hi budget chic-thats a fab bargain you bagged, well done!